Thi Detert: My name is Thi Detert. I come from San Francisco, California. I moved to Hamburg because my husband and I really wanted to live abroad in Europe. We decided that since gaming is a rather niche field, wherever I got a good job offer is where we would move. HS: What’s your role at InnoGames and how did you end up working there? TD: I am the Team Lead of Game Design for the Forge of Empires team. I worked with a recruiter in San Francisco who helped me look for opportunities abroad. He told me about InnoGames, the opportunity sounded interesting, and the rest is history, as they say. HS: What do you see as benefits from working for a start-up? TD: I worked at several start-ups in San Francisco and always enjoyed it mainly because of the flexibility and fun culture. In start-ups, you usually have the opportunity to take on responsibilities not particular to your role, so you can learn a lot. Teams are smaller and work processes can move a lot faster. Every one works hard, but people don’t forget to have fun. Even though InnoGames is a sizable company that is more professional and stable than any start-ups I worked at previously, the company still maintains many of the good things about start-ups I mentioned above. HS: How do you like Hamburg as an expat? TD: Since moving to Hamburg, many people here have asked me why I would ever leave San Francisco. True, San Francisco is one of the best cities in the world, though I may be a bit biased, but I really like Hamburg and I am having a great time living here. I love the lake, the canals and all the greenery you can find here in the spring and summer. The public transportation system in Hamburg is better than San Francisco’s. Hamburg is cleaner and prettier in a lot of ways, and, overall, it feels safer. Though it’s not particular to just Hamburg, I’ve really enjoyed experiencing the different seasons since California has mainly one season. It’s also really nice that Hamburg is a nice jumping off point for travel around Europe, and that’s one of the main reasons why I wanted to live abroad—to experience the world more. I do miss the California sunshine and warmer weather sometimes, and I wish Hamburg had more diverse and authentic food selections from other cultures like in San Francisco. HS: As non-native speakers of German, how were your first days in Hamburg? TD: I didn’t have many difficulties getting along in Hamburg when I first moved here. 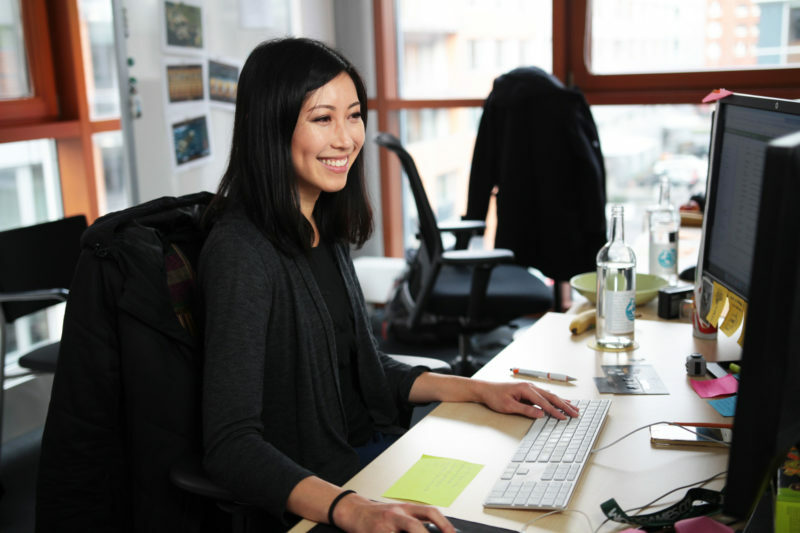 There were some moments in the first few months where I found myself unable to communicate effectively with the staff at restaurants or shops, but mostly everyone can speak English to some degree, and as I picked up more German, it got easier. I’m embarrassed to say, though, that after almost 2 years of living in Hamburg, I’m only A2 level in German. InnoGames offers language courses that meet once a week, so that helped me get going with learning German. Since the official language of InnoGames is English, I don’t need to speak German, so I don’t get that practice. I know it’s up to me to improve my German, so given that it’s the New Year, this is one of my resolutions. HS: Thank you for your time and your answers, Thi! 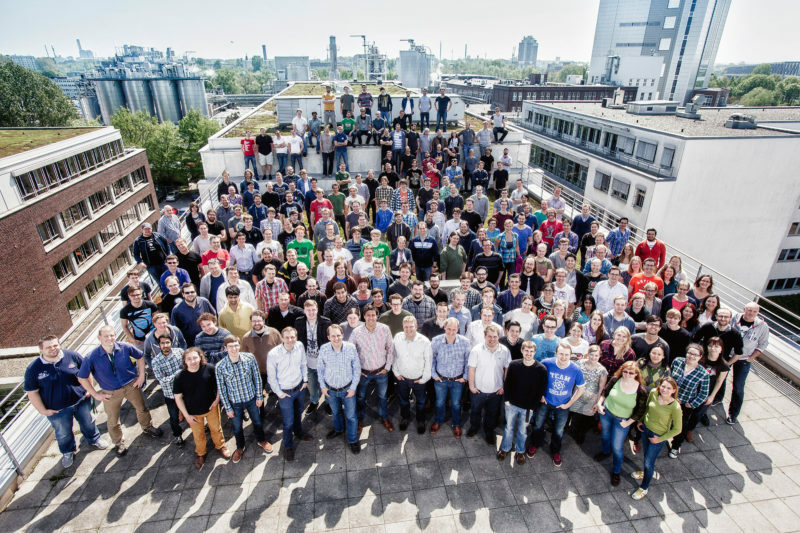 InnoGames is a Hamburg startup, founded in 2007. They are specialised in online games and have gathered millions of players. Check our Startup Monitor for more information about InnoGames and their job offers.